A-Z Network liquidators buy surplus data center equipment, laptops, servers, Cisco routers, Catalyst switches, memory DDR3-DDR4. A-Z Cisco liquidators, network data center buyers, buy used Cisco, data center surplus & network hardware. We offer Cisco liquidation, asset recovery solutions, fair quotes for data center used network equipment. Liquidate enterprise switches, routers, Cisco used servers, Cisco hard drives, Cisco parts, and Cisco processors. Please call 1-866-666-0340 to speak to one of our purchasing agents. Our company has been around for over 10 years. We know Cisco secondary market pricing, so our quotes are fair. Our clients are businesses nationwide liquidating surplus network inventories. We have the ability to efficiently clear out enterprise & small business routers, switches, & network assets. Are you closing multiple facilities nationwide? Get cash back for your Cisco networking switches. We buy Cisco catalyst switches, integrated service routers and more. Sell used IT networking equipment. We simplify the liquidation process. We guarantee top dollar for your used network hardware. Are you looking to unload equipment yesterday? We have the affiliate partner power to liquidate nationally from Silicon valley, San Jose, CA. Seattle, Washington, Washington, DC, Denver, CO. in the Mile-Hih City, Austin, TX., Dallas, TX., Raleigh-Durham, NC., etc... Hire A-Z Computer Liquidators today! We buy used Cisco equipment. Request Quote For Your Inventory! Submit your used Cisco and data center server equipment for a quote. We pay top dollar for surplus Cisco equipment taking up warehouse space. Sell Cisco Nexus 9000 Series Switches/ Cisco 7000 Data Center Switches & more. We employ asset recovery specialist agents nationwide, ready to do an onsite inspection of used Cisco hardware product for valuation. Get a quote on your Cisco equipment today! No job is too big for us. A-Z Computer Liquidators also has access to Cisco Excess. Our customers benefit from our partner relationships offering used Cisco equipment from authorized sources. Get money network equipment now. Sell used surplus Cisco equipment to A-Z. Get cash quick for switches, wireless access points, routers, phones, and other technology equipment? 1-866-666-0340. Fast Removal of Your Excess Cisco Equipment. A-Z Cisco liquidators buyers of used network hardware from businesses nationwide. 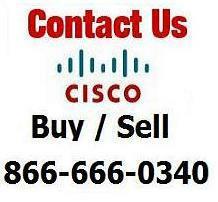 We buy and sell pre-owned Cisco and network surplus. Please Not* A-Z Cisco Liquidators is not affiliated with Cisco Systems, Inc. or any other equipment manufacturers. All Cisco®, Cisco Systems®, and the Cisco Systems logo are trademarks or registered trademarks of Cisco Systems, Inc. in the United States and certain other countries. All other brands, products, trademarks are brands, products, trademarks of their respective owners.